Steel Reel MOD.062. Stringing Equipment: Izumi Products. 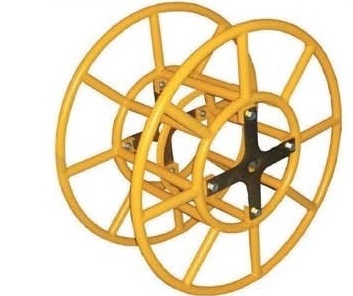 Steel reels for storing pulling rope are suitable for puller reel winders. they are manufactured from tubular steel and supplied with 2 x side cross. Side square plate adapters are available ART.062/CPA, but sold separately.